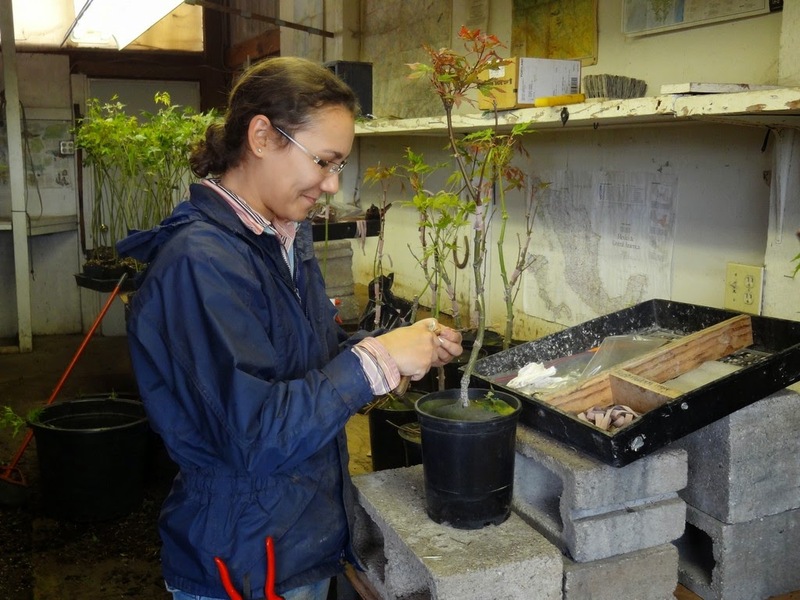 Greenhouse 12 is a propagation house, and it contains our winter-grafts of deciduous plants as well as various coniferous attempts. 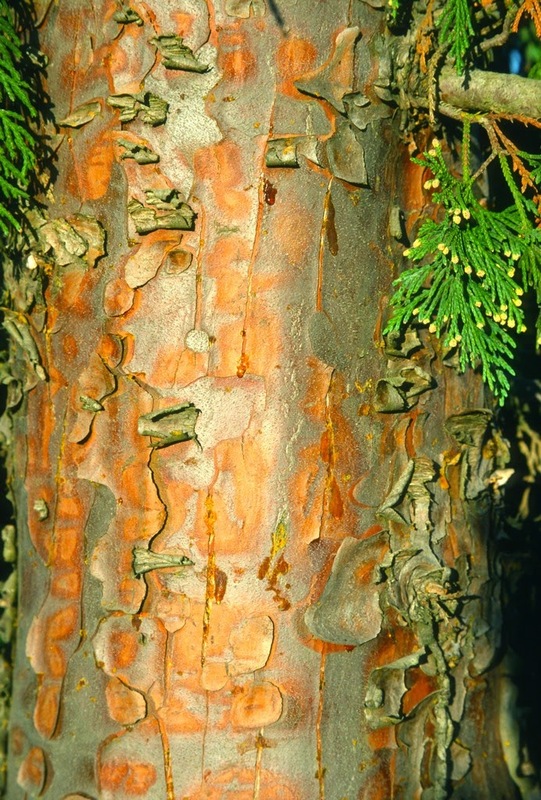 The hodge-podge ranges from maples to Magnolias, from Chamaecyparis to Calocedrus. The heater is set at 55 degrees F, although many days the temperature will exceed that. 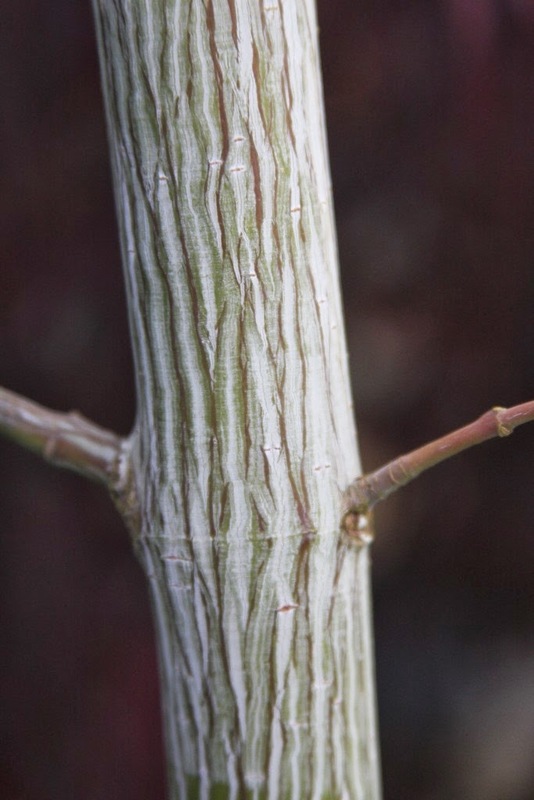 If it becomes too hot inside (in excess of 90 degrees F) we open up the house, otherwise we would be forcing new growth on the scionwood before its connection with the rootstock has been established. So, hot but not too hot. At the beginning of March, GH12 contains primarily sticks, pots and media (soil), and there's really nothing fun to see. 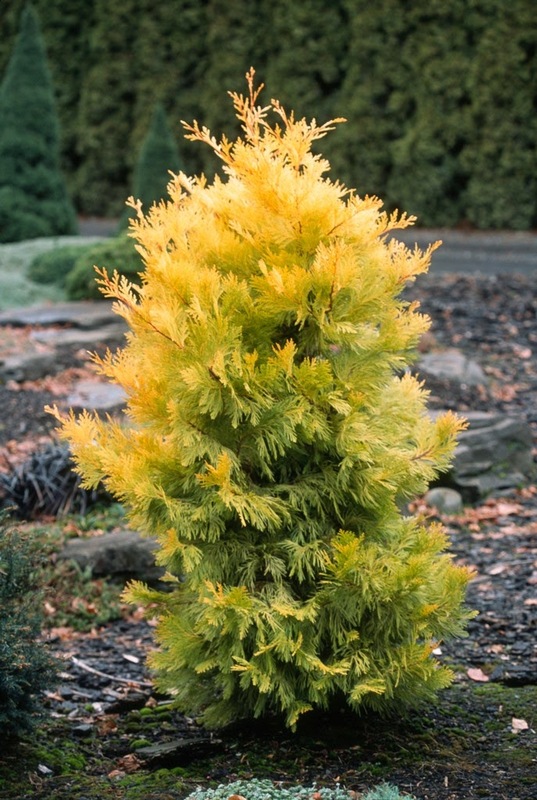 Now, at the end of March, I walk through the house daily, and (for the past 34 years as well) I become giddy with the prospects of many choice trees and shrubs to grow for future sales. 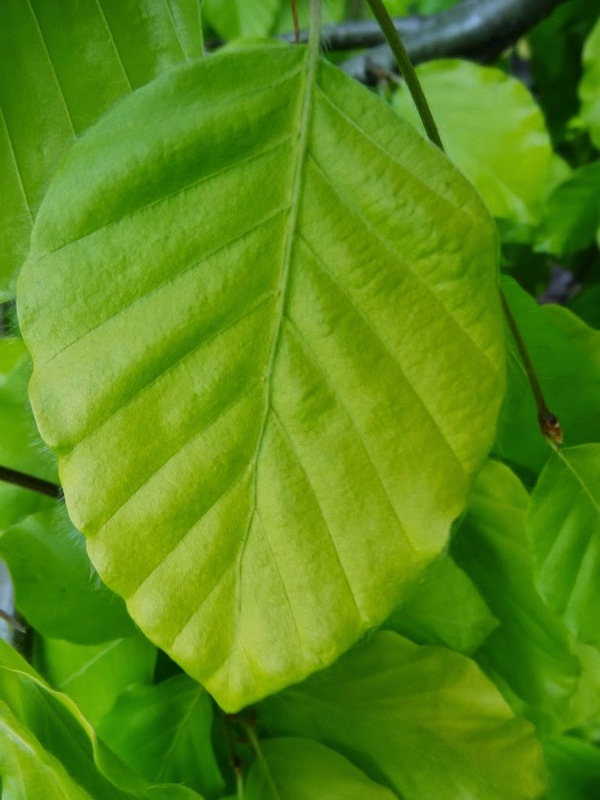 One learns, though, to not become too effusive, for swollen buds and emerging scion-leaves might simply be the result of the warmth, and that the graft will ultimately fail. In other words, don't count your propagules until June. Every year we experience smashing successes as well as dismal failures, but the results are never consistent from year to year. Usually I don't have a clue as to why a successful crop one year can be followed by a poor "take" the next. If a propagator is anything but humble, he or she is a fool. 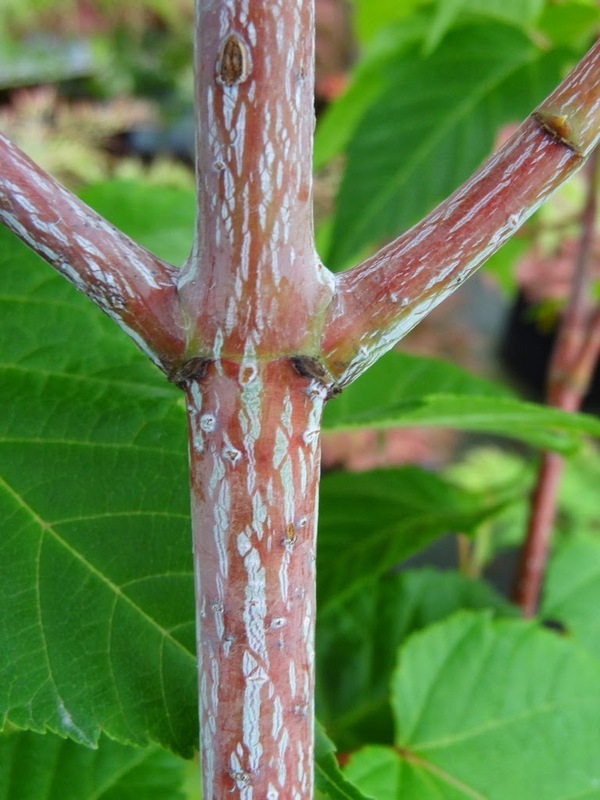 There is nothing magical about grafting; you merely slice the scion and rootstock to match their cambiums*, secure the operation with a rubber band or plastic tape, then stand back and hope for the best. Non-plantsmen or non-nurserymen are invariably fascinated with the process, and they view me not as a technician, but as some sort of floral wizard who has mastered the secrets to life. True, it is stimulating to impress the novice with my copulatory prowess, but I never want anyone to view my failures, also known as my dump pile. 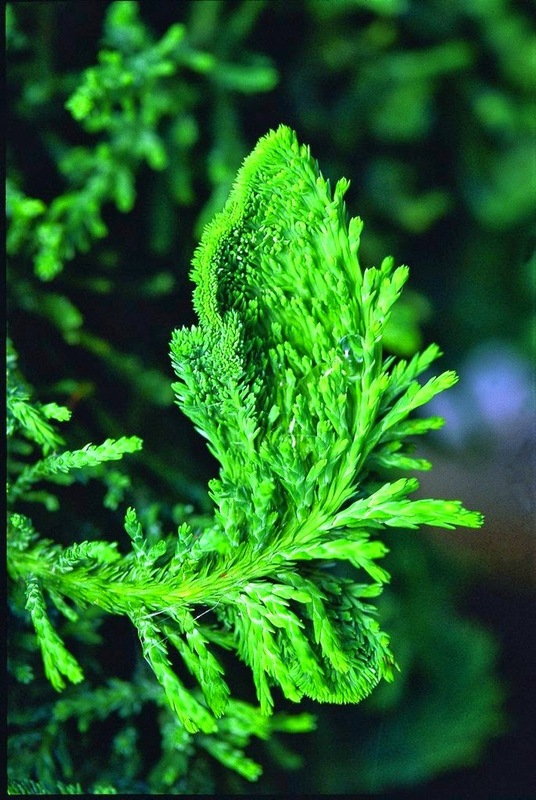 *The cambium is a layer of actively dividing cells between the xylem (fluid-conducting) and phloem (food conducting) tissues. The grafter sees the cambium just past the bark. The word is from Latin cambire, meaning to "change" or "exchange." 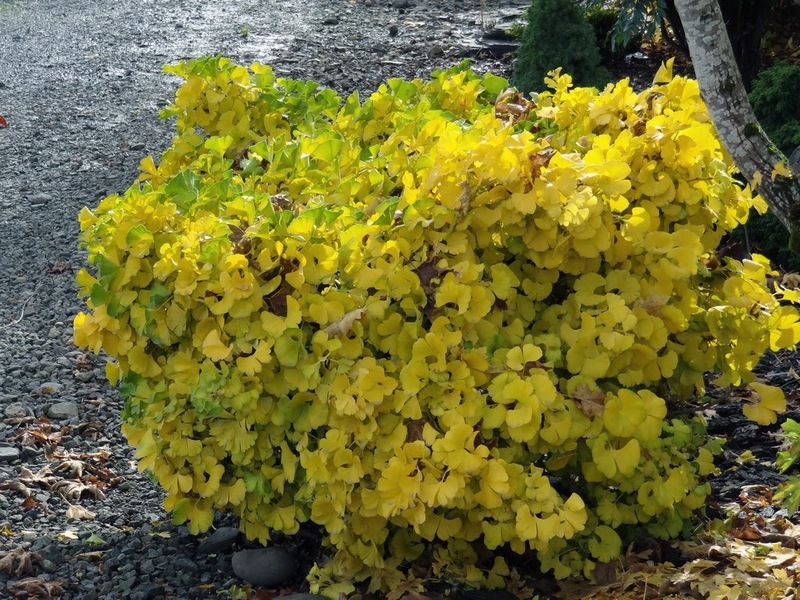 Back when we supplied thousands of grafts to other wholesale nurseries, an Oregon company ordered 800 of just one item. We grafted 1,200 that winter, just to be sure we could supply his 800, and then we planned to sell or grow on the extras. 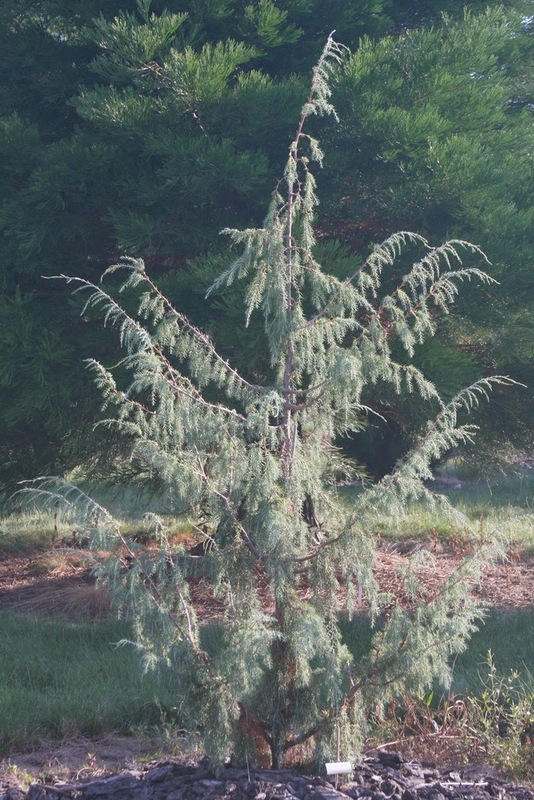 Unfortunately (and mysteriously) this usually reliable crop of Chamaecyparis nootkatensis 'Glauca Pendula' did not perform well, and we could only supply him with 600 grafts. I then had to endure his lecture about how he could "only do business with reliable sources." Sorry for just 600 out of 800, but realize that I was more unhappy about it than he was, for I made no profit from the 50% effort. By the way, in 2009 he placed no order, after consistently ordering in previous years, and has not bought a plant since. 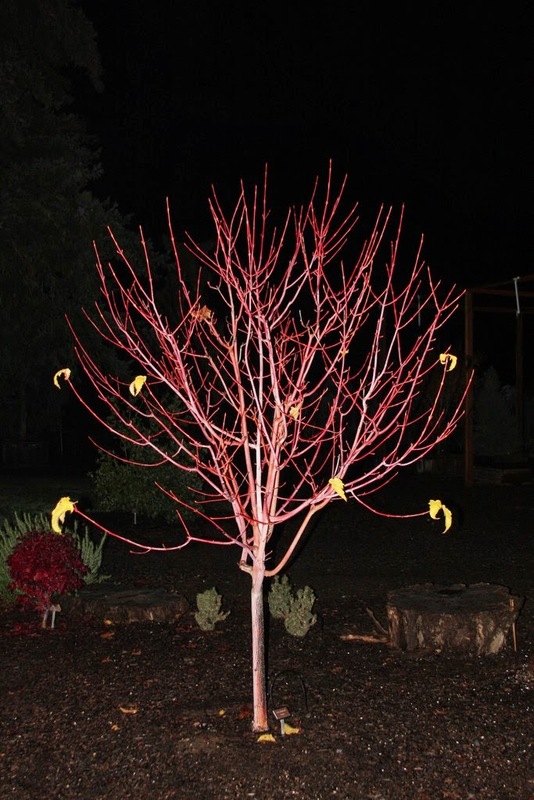 I didn't bother to lecture him on my cost to have rootstocks produced and ready to fulfill his custom order. Thus, this customer is officially classified as an ex-customer, in case he is still even in business. Ok, let's step inside GH12, something I love to do on cold mornings. 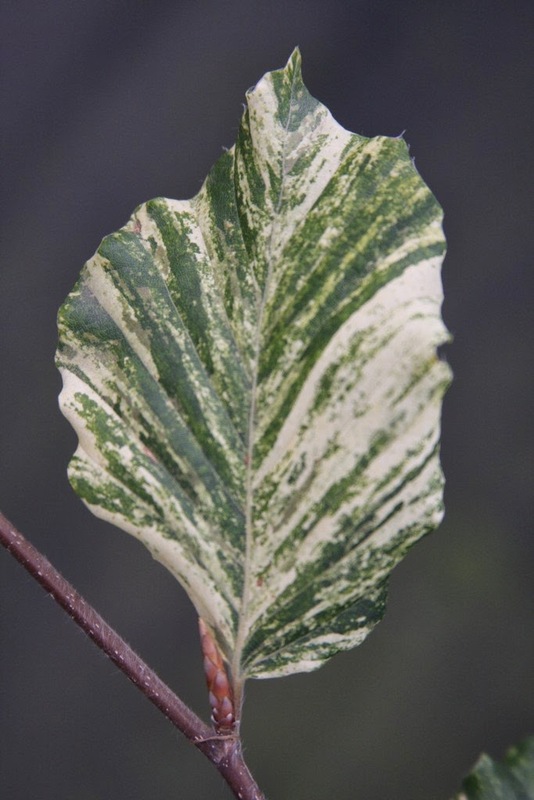 The soil is fragrant in the warmth, and also fragrant is the foliage of Magnolias, Acers, Fagus, Ginkgoes, Cornus etc., even though I can't really identify what smell comes from a particular species. 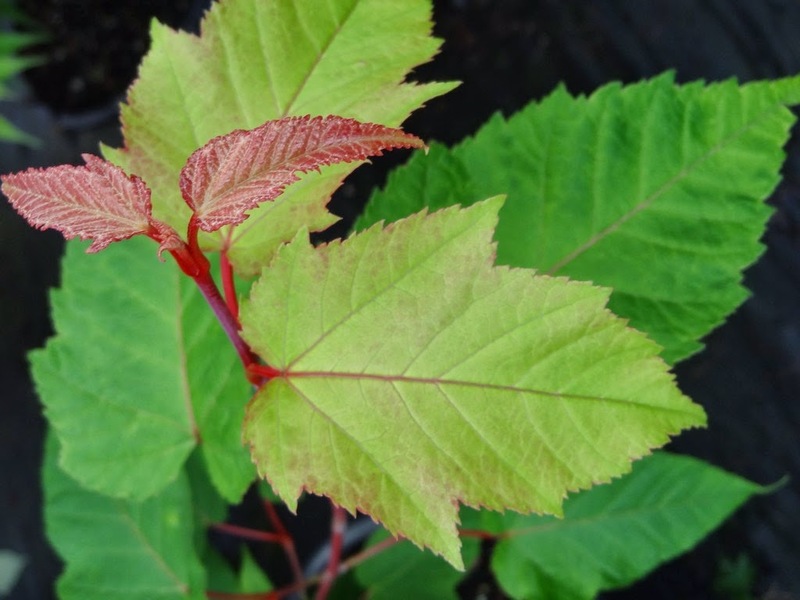 Visually, the predominant color now is green for the majority of the rootstocks; but delightfully, nearly every other color is sprinkled throughout with the emergence of the grafts. 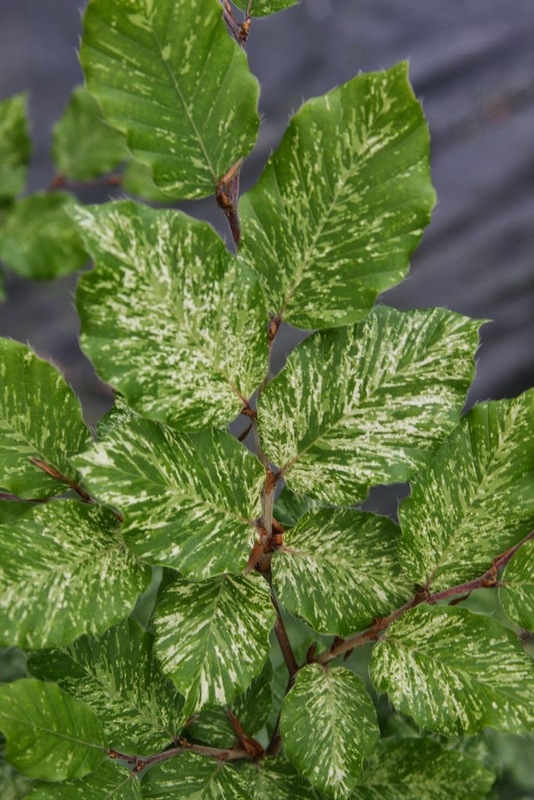 The variegated leaves of Cornus kousa 'Summer Fun' and kousa 'Ohkan' are always pleasant. 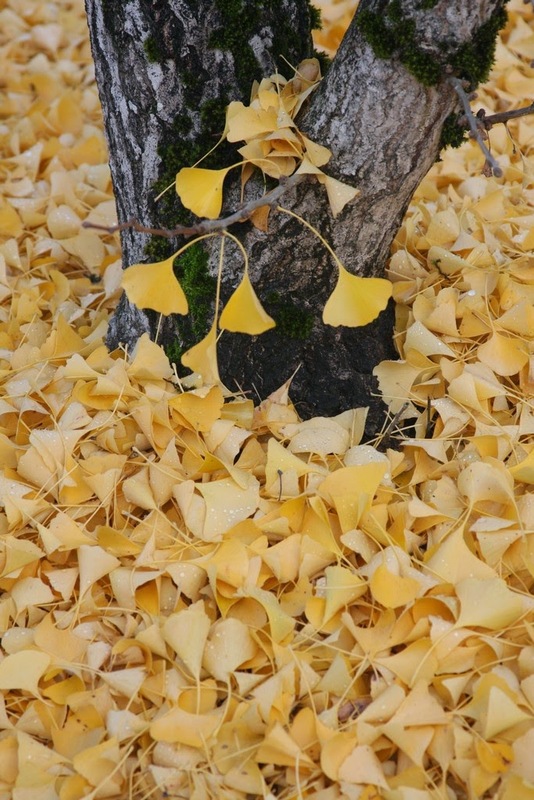 Employees charged with pruning and thinning out the rootstock have an easy task, whereas with the Ginkgoes, one must focus carefully on what to prune. Earlier I mentioned to "stand back" after grafting, but that's hardly the case. The aftercare, the "nursing" process, is often what determines a good nurseryman from a poor one, and indeed, a profit from a loss. 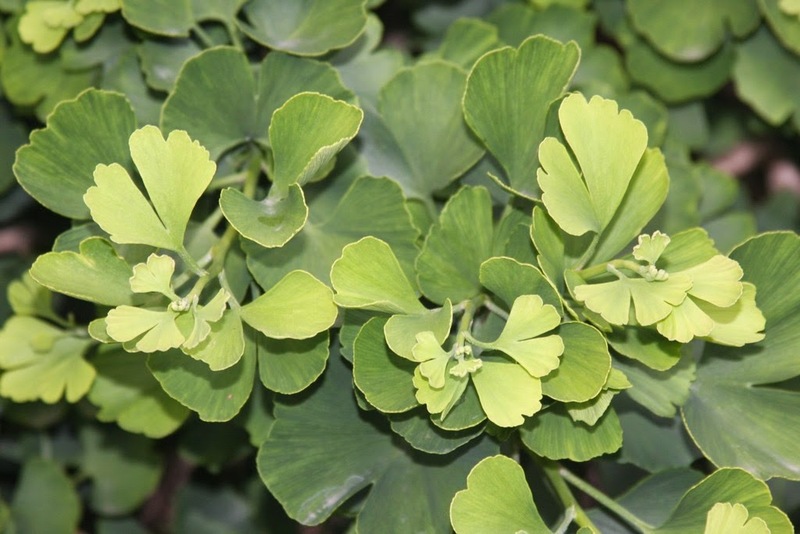 Our gardens and greenhouses contain a large collection of Ginkgo cultivars, but this year we narrowed our propagation to only eight cultivars: 'Jade Butterflies', 'Marieken', 'Munchkin', 'Chase Manhattan', 'Snow Cloud', 'Spring Grove', 'Troll' and 'Weeping Wonder'. 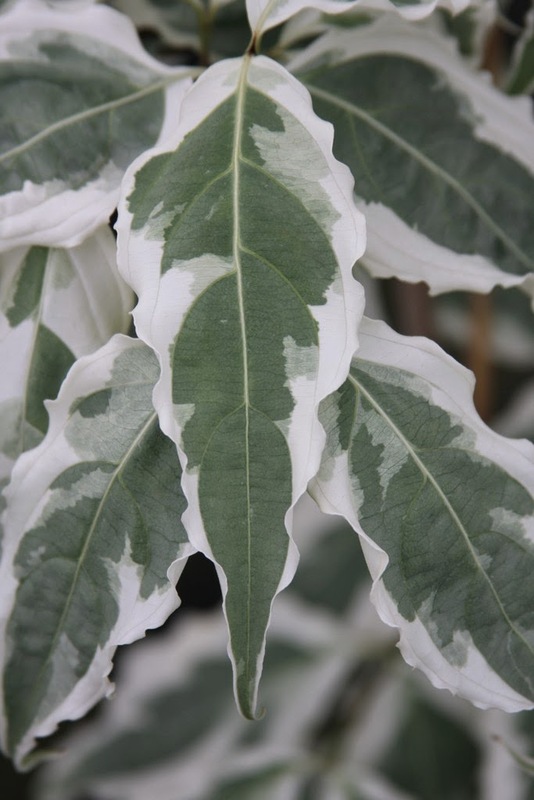 * Notice that there are no variegated selections, as I have finally grown weary of producing revertible plants. At the liner stage most of our grafts look alike, so the employees must focus to not mix them up. 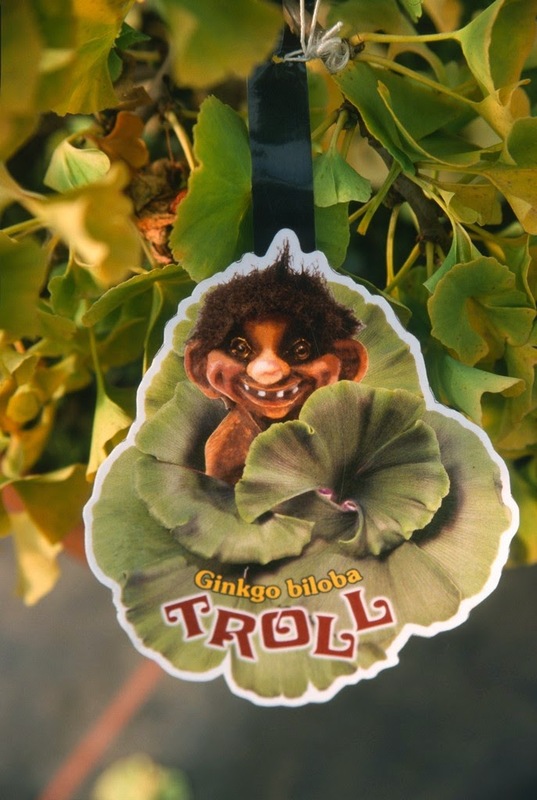 I don't know at what age you could eventually differentiate a 'Marieken' from a 'Troll' from a 'Spring Grove', and if ever mixed up in the propagation house, the best solution would be to throw them all away, and probably to eliminate the errant employee as well. 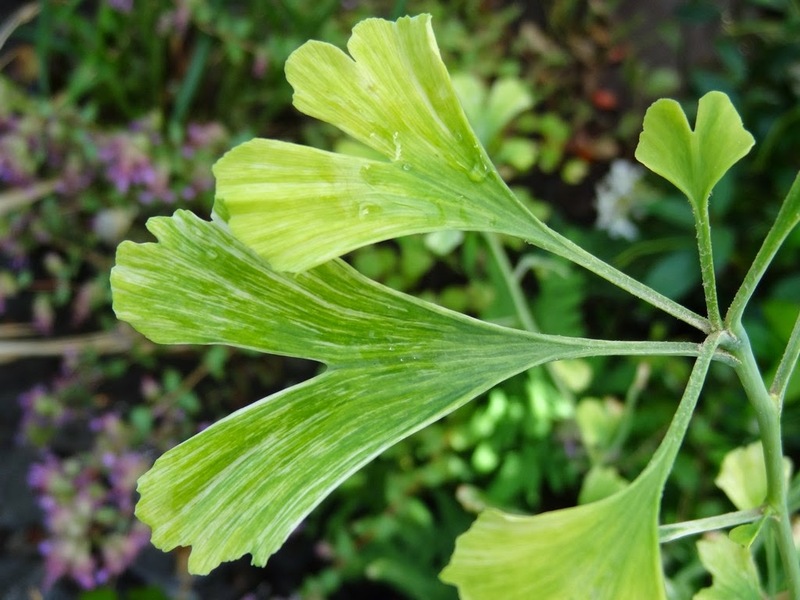 *Ginkgo biloba 'Tschi tschi' and some of the aforementioned are also produced via rooted cuttings in summer under mist, and one learns which clones usually root better than others. 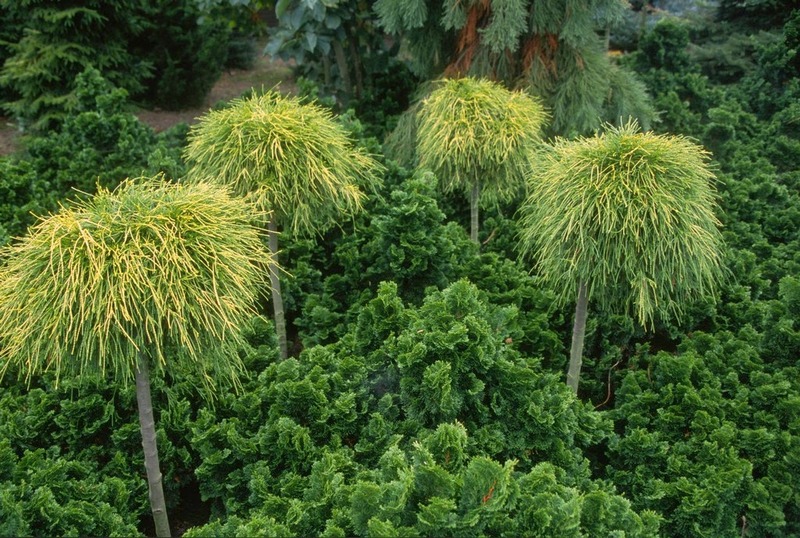 A fascinating concept is that the petioles themselves can strike root, and I have seen a photo of this in an old conifer book. 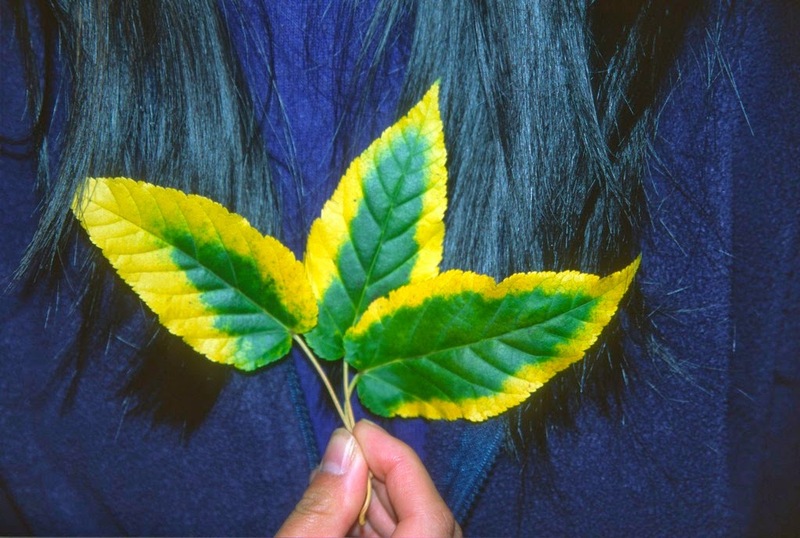 I have long meant to try it myself, for I wonder if the rooted leaf will ever grow into a tree? 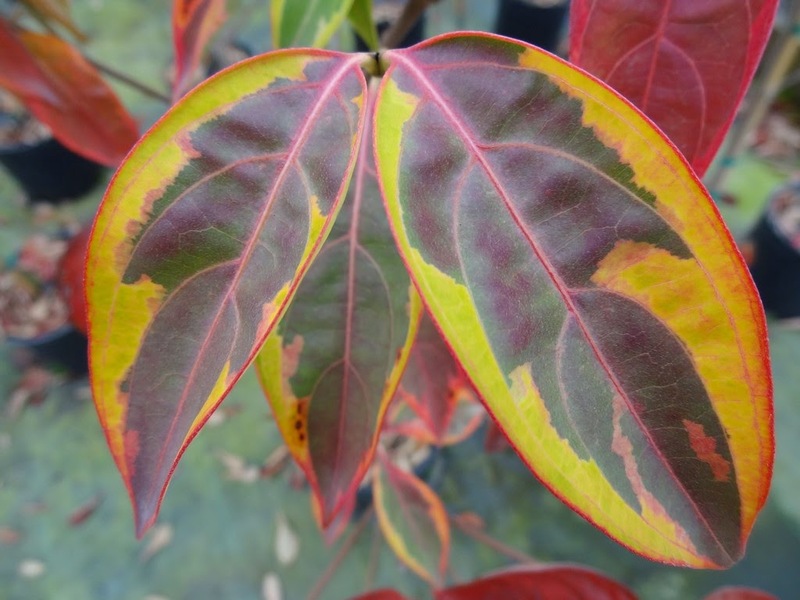 One can root, for example, the leaf-stems of Nandina, but they will not grow. 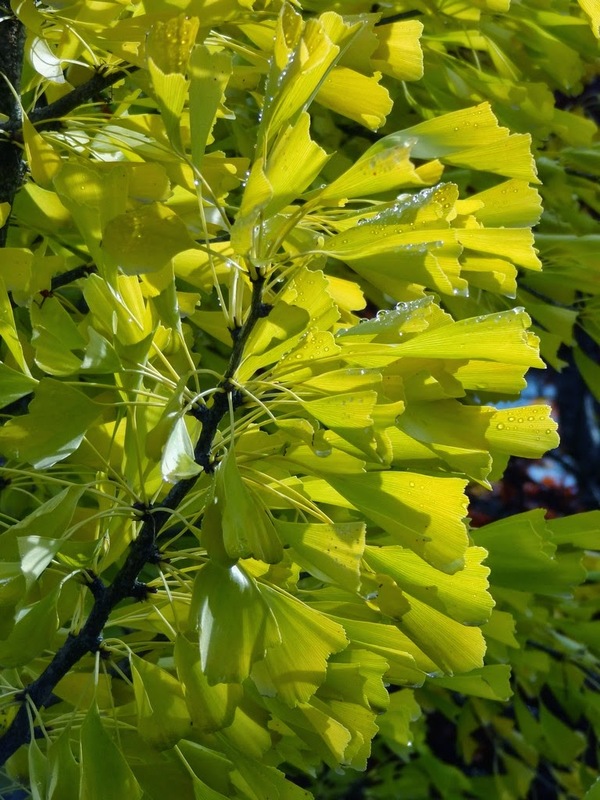 I don't have a favorite Ginkgo cultivar – I like them all for their fresh green leaves in spring, the deep greens in summer and the fantastic autumn yellows. 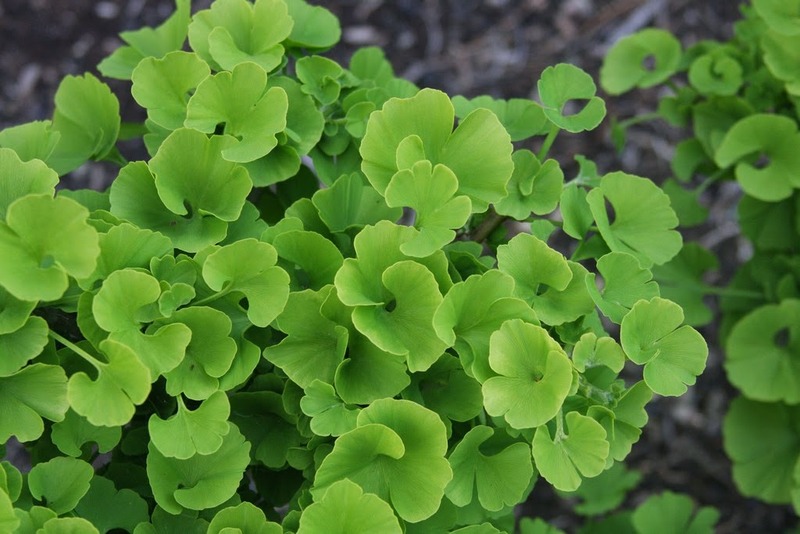 One that is different, though, is 'Munchkin', with its very small stature and tiny button-sized leaves. It takes us at least five years to fill a one-gallon pot, so it's my least favorite in terms of profitability. 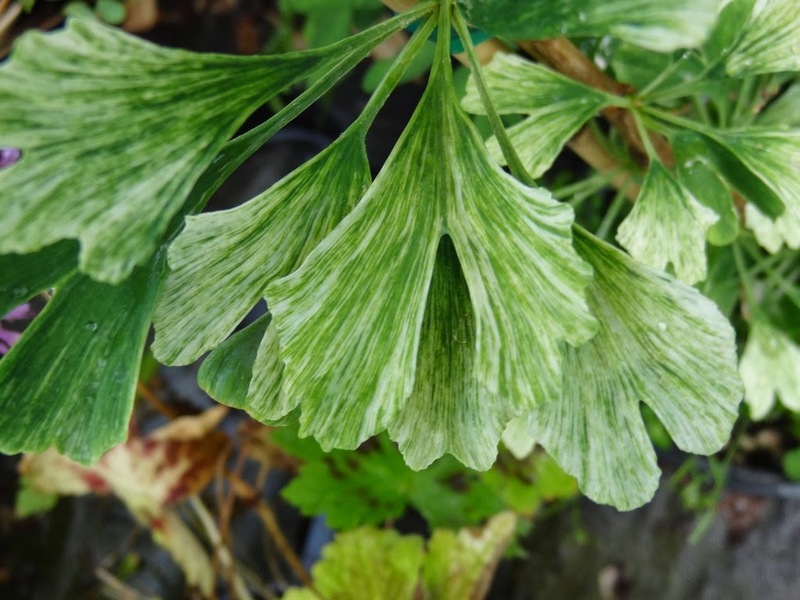 I mentioned that we quit propagating variegated cultivars, unless Ginkgo biloba 'Snow Cloud' can be considered to be variegated; and well, yes...I guess it is. 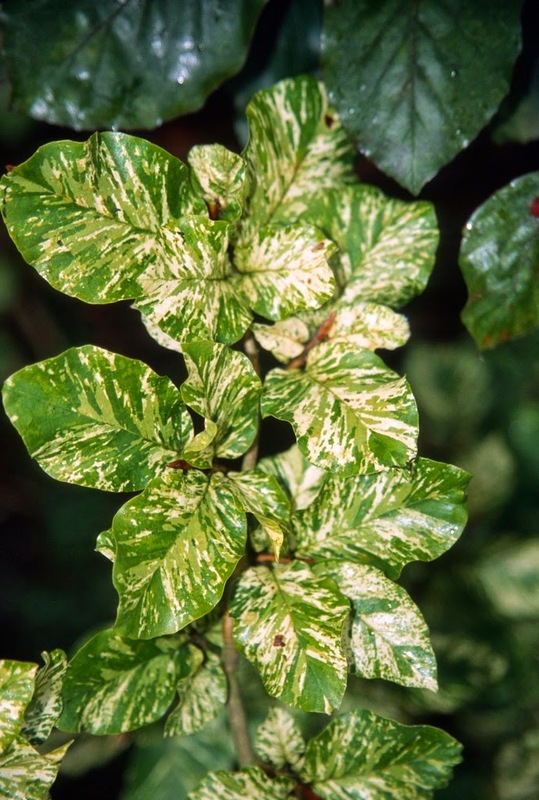 Leaves are also undersized, and are longitudinally marked with faint cream-white portions. 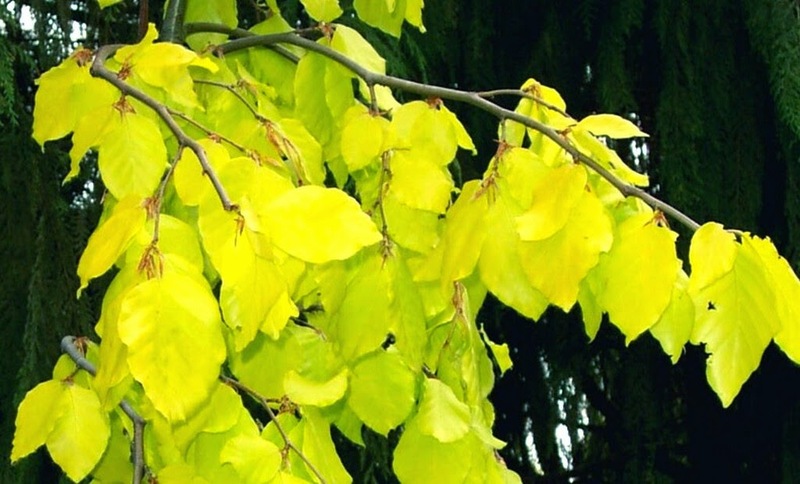 Some leaves emerge without any green, and they are liable to burn. 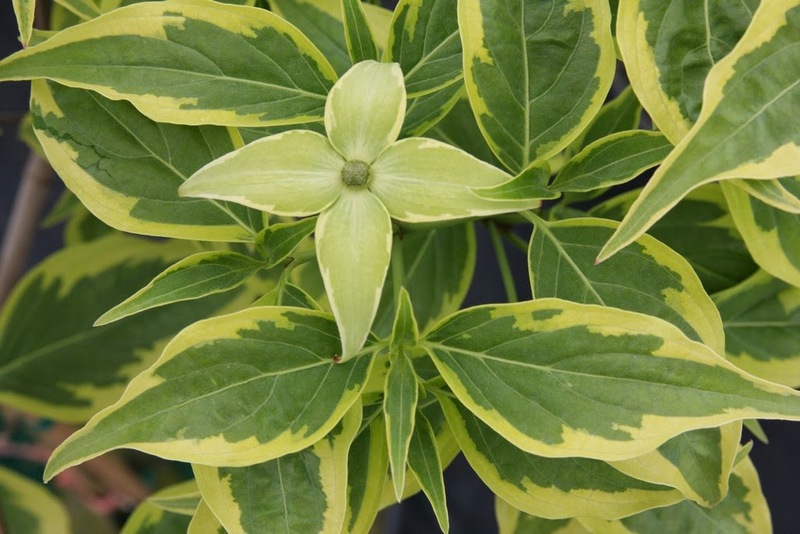 My experience with this type of variegation is that the longer the plant has been established in the ground, the less likely it is to burn, but I've only grown 'Snow Cloud' for two years so far. 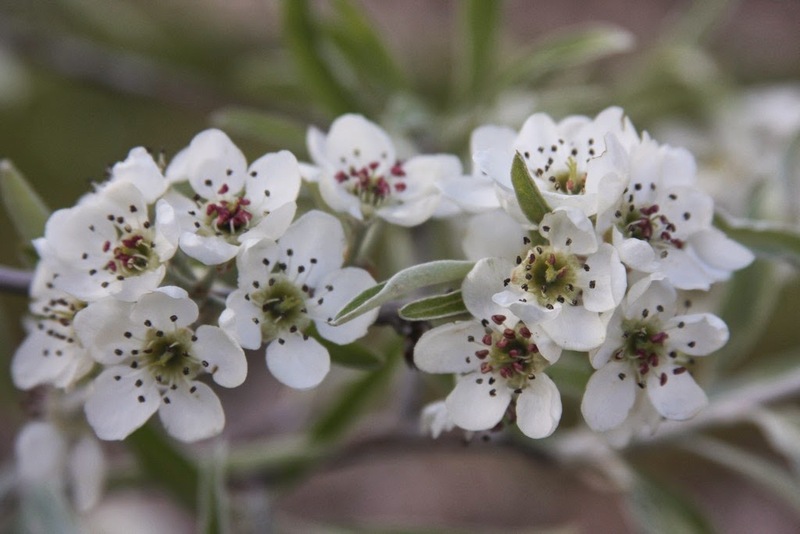 Pyrus salicifolia is a species of pear commonly called the "Willow Pear," native to the Middle East. 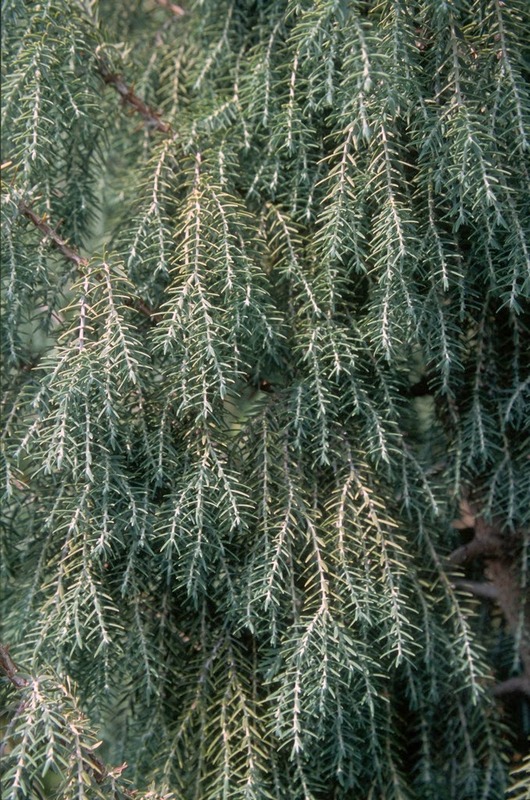 The small fruits are not edible and the species is grown only for ornament. 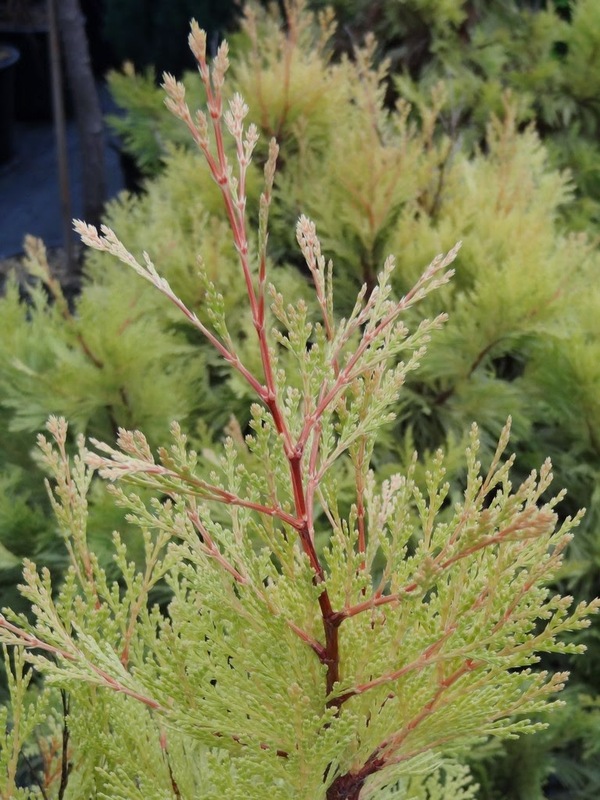 I don't know the origin of the species name, unless it is derived from Salix, Latin for "willow," but salicifolia is also found with Stachyurus salicifolia, Hebe salicifolia and others, and refers to long, narrow willow-like leaves. 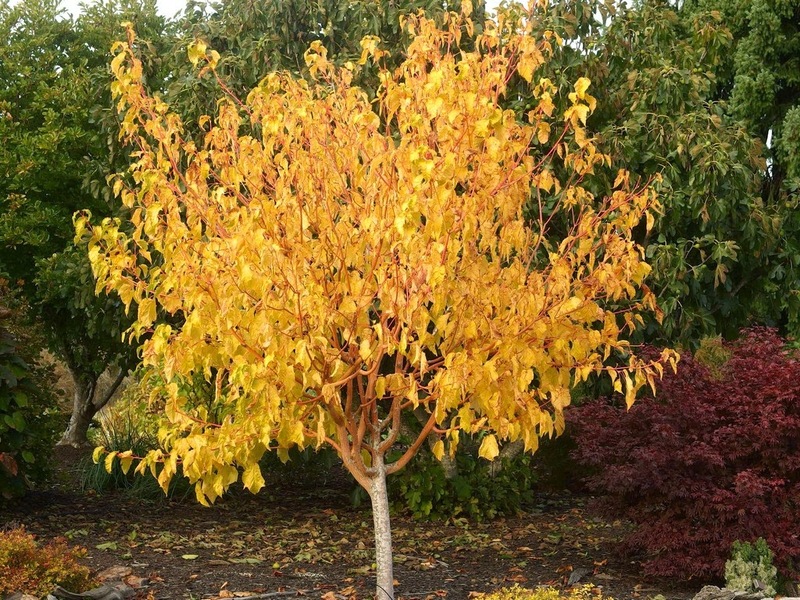 The genus name Pyrus is from Latin pirus, meaning "pear tree." 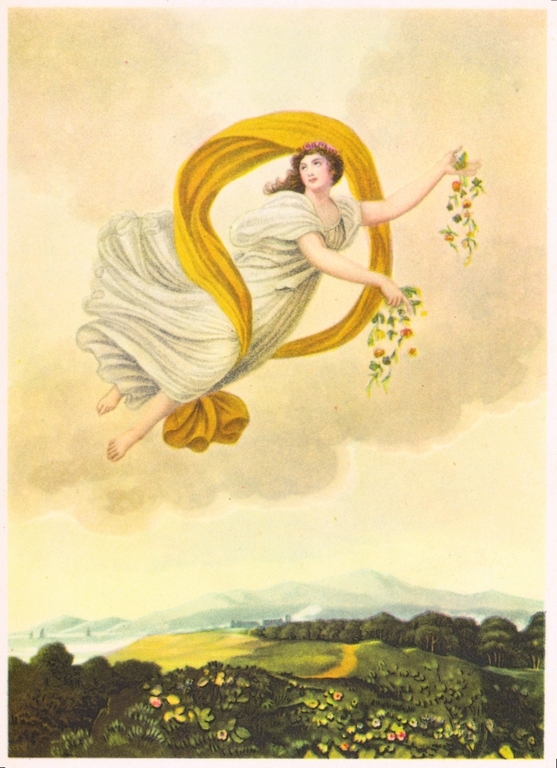 The common word "pear" is from the Germanic word pera, and that from Latin pira, the plural of pirum. These words are similar to the Greek apios, which is of Semitic origin meaning "fruit," as the verb pra means to "beget, to multiply." The word parent is from Latin parenteum, meaning "father, mother, ancestor," from parere, "to bring forth, give birth, produce." 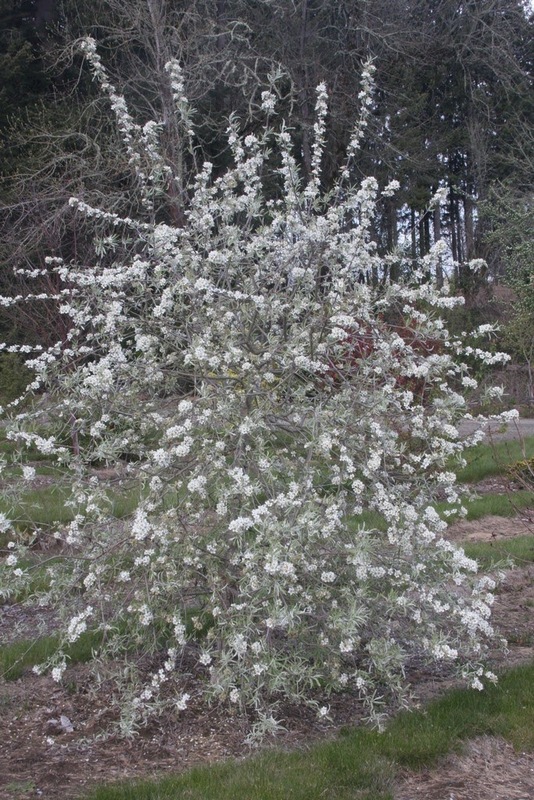 In any case we grow Pyrus salicifolia 'Pendula', a weeping haystack of a tree, notable for silvery foliage. 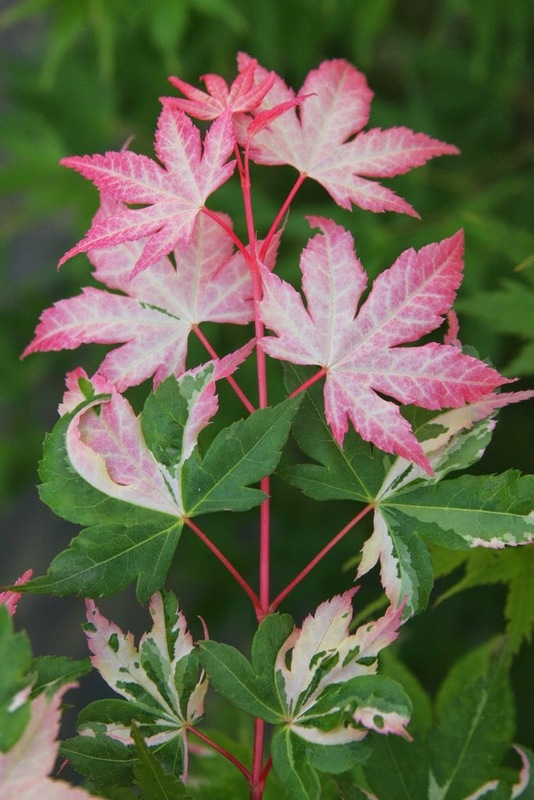 Flowers appear in spring, and they further add to the dazzling display. 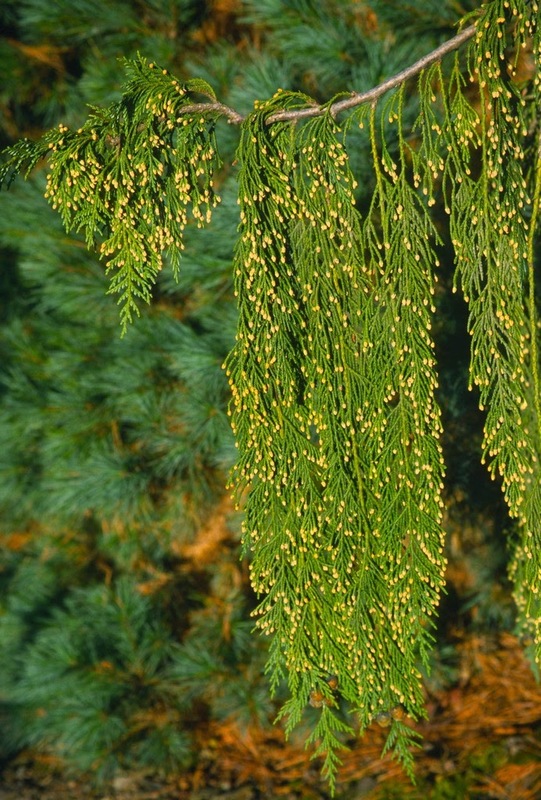 Too bad the fruits are small, hard and astringent, for if they were tasty every yard would contain a salicifolia 'Pendula'. 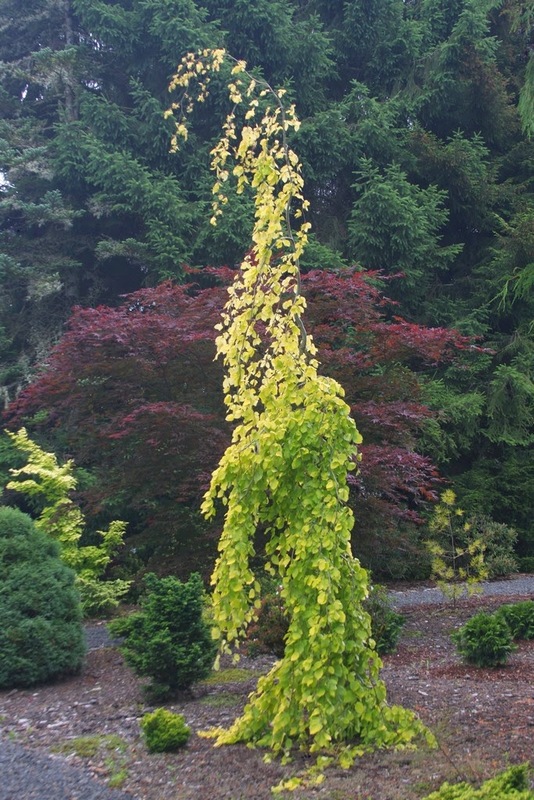 This excellent weeping cultivar received Britain's prestigious Award of Garden Merit in 1969. 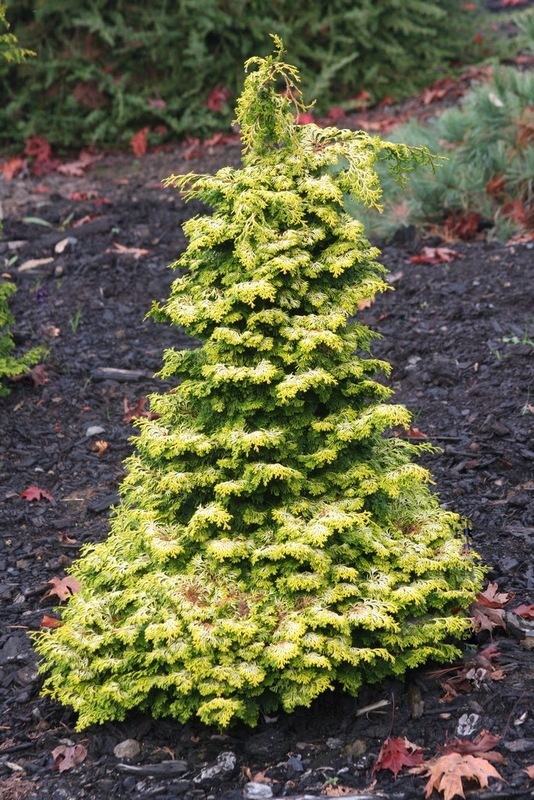 In recent times, I acknowledge that it has apparently fallen from favor, and I don't recall ever seeing it for sale in any American garden center. 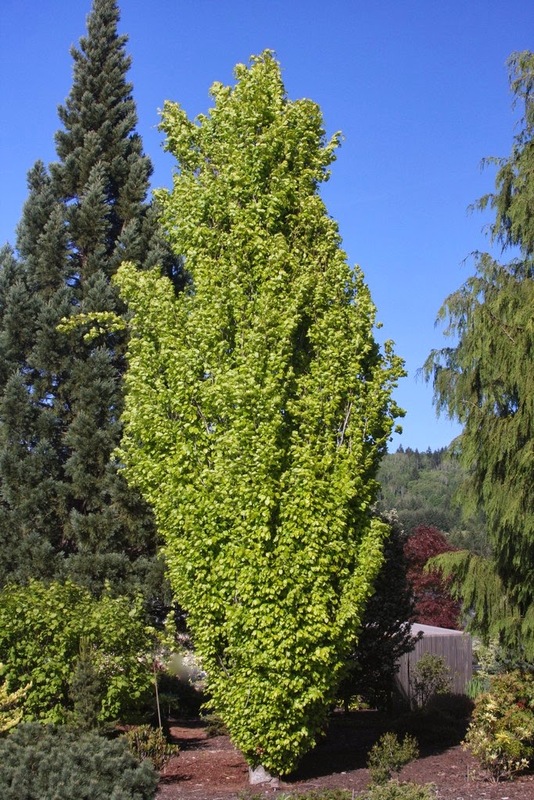 I don't worry about that, because I'm confident that all good trees have their due place and purpose. 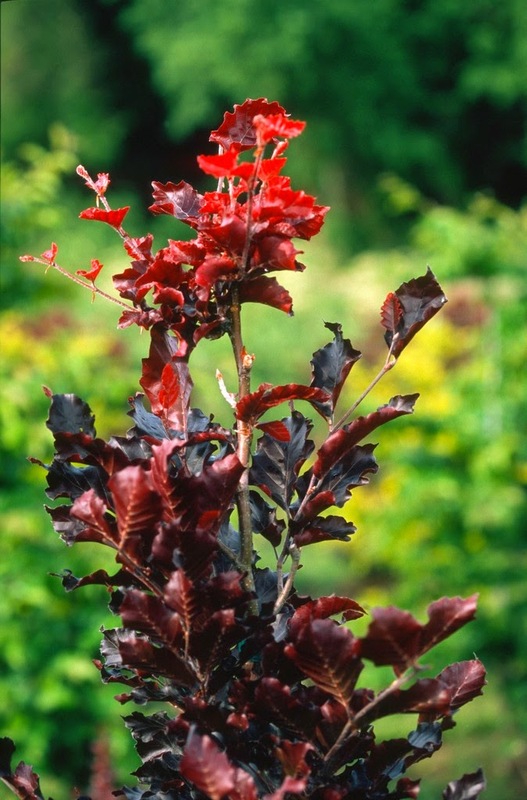 I am most pleased when I can find an obscure species or cultivar and bring it back to market life. 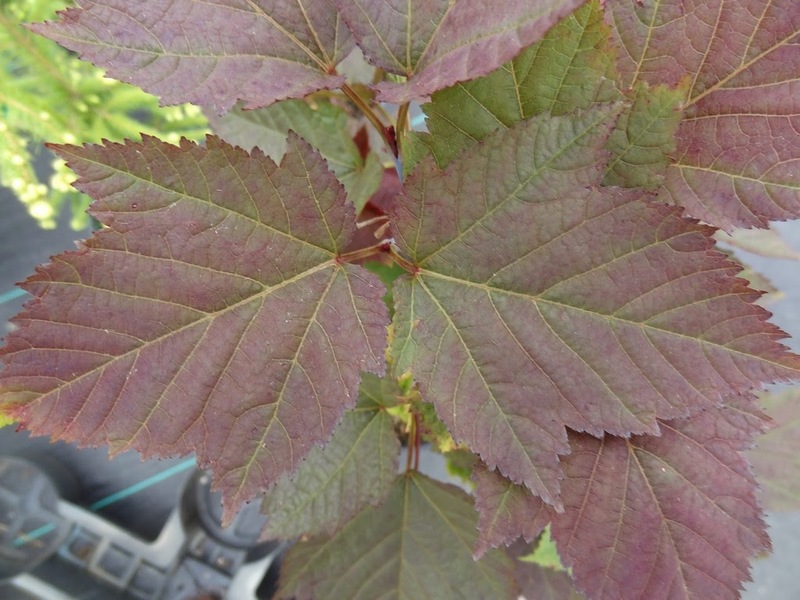 We graft our Acer conspicuum 'Phoenix' in winter, and they are not difficult to spot in GH12. 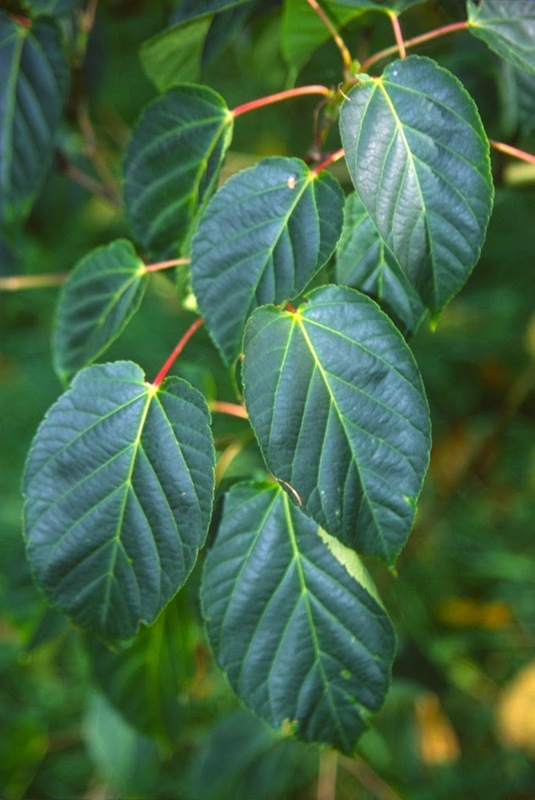 In summer the wood is too soft (we find), and also for cultivars of Acers tegmentosum, davidii, rufinerve and pectinatum. 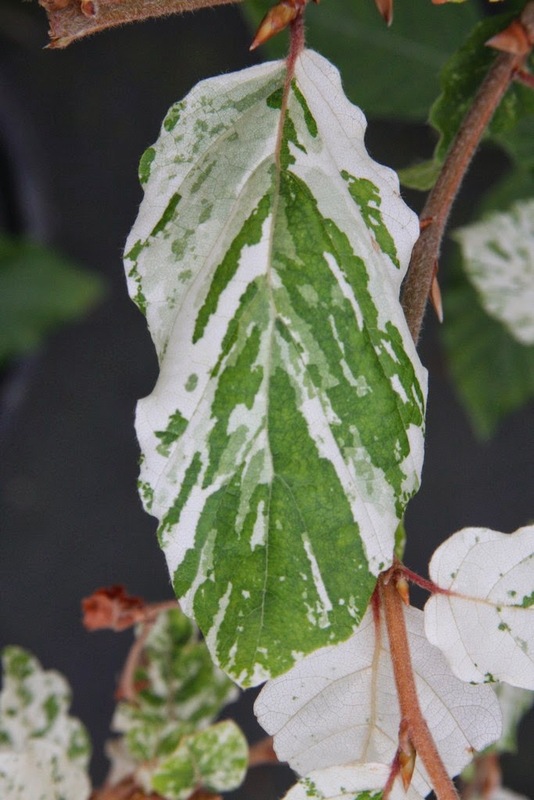 In Holland I have visited various nurseries that don't get bothered by soft scionwood, but their greenhouse conditions and their outdoor climate and their propagating brains are much different from mine. 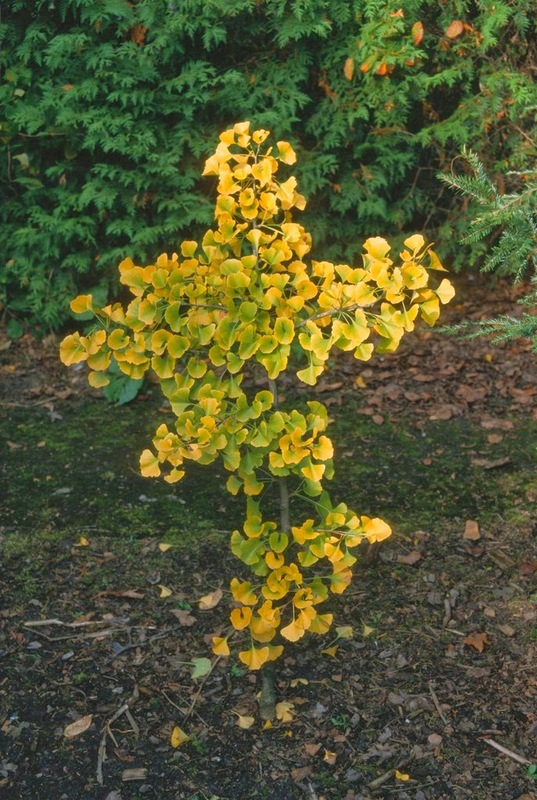 I purchase rootstocks for our grafting of Fagus sylvatica cultivars (in 2 7/8" wide by 5" deep pots). The grafts spend their first three weeks on our hot-callus pipe, then return to GH12. 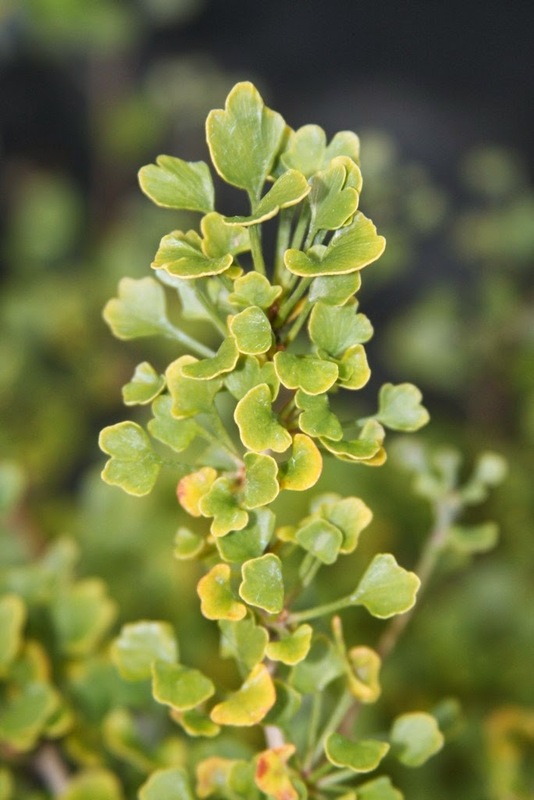 By the beginning of April the scions begin to grow, and by the end of April they have exploded with growth and demand to be potted up. 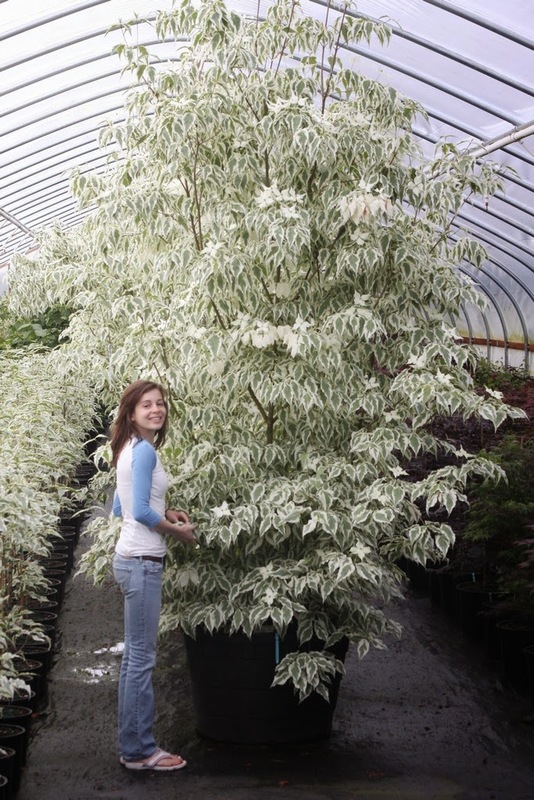 Every year I wonder why I graft so many, since the potting crew is overwhelmed with shipping and other duties. There is always an April-to-June period when I wish my crew size would double. 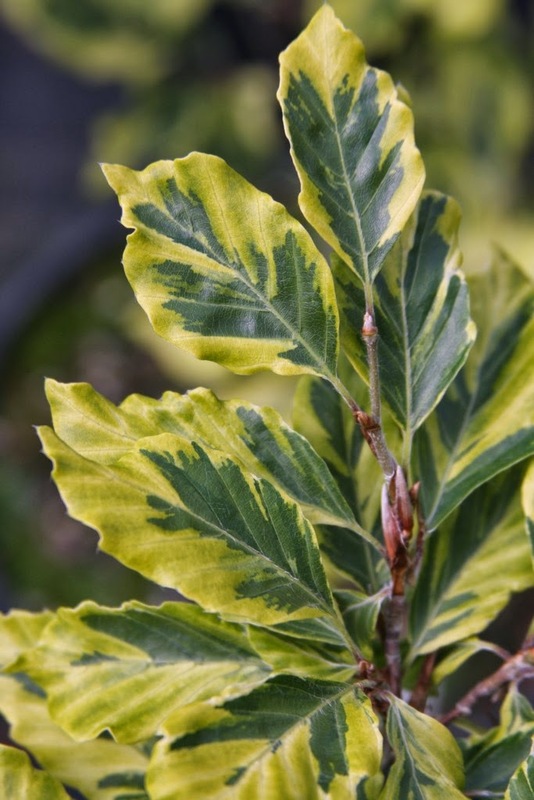 Some of the "European Beech" cultivars we produce are 'Bicolor Sartini', 'Albovariegata', 'Marmo Star', 'Nicole' and 'Aurea Pendula', with the latter being grown by the largest number. 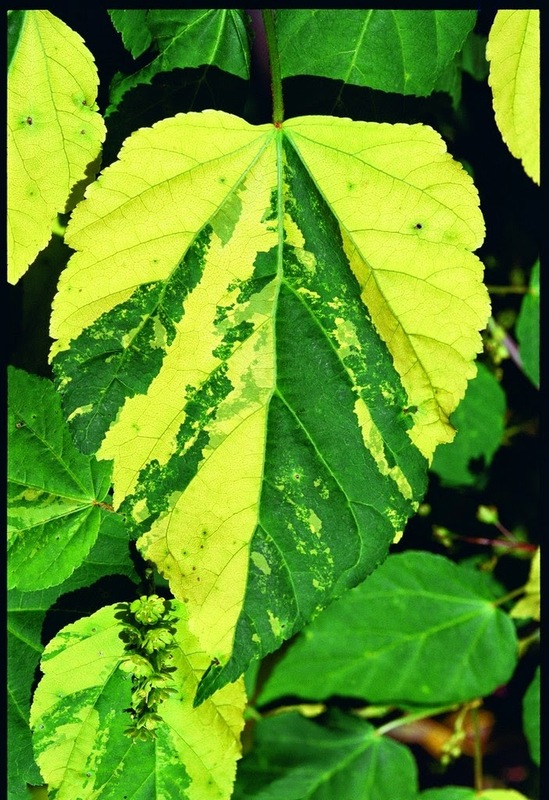 The first four are all variegated, with various portions and patterns of cream-white on green. I really should plant one of each in a row to see which one performs the best. 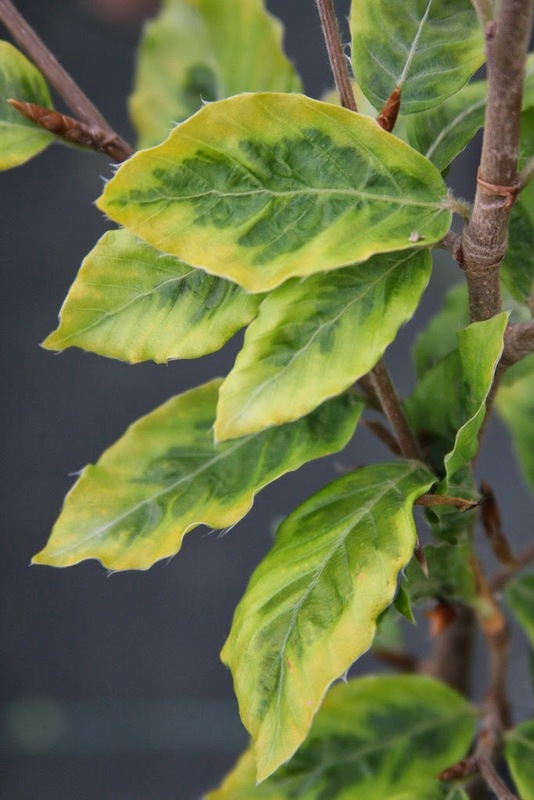 But even that might lead to a dubious conclusion, since my experience with many variegated plants is that no two look identical, and a crop of one cultivar might have some trees more "colorful" than the others. 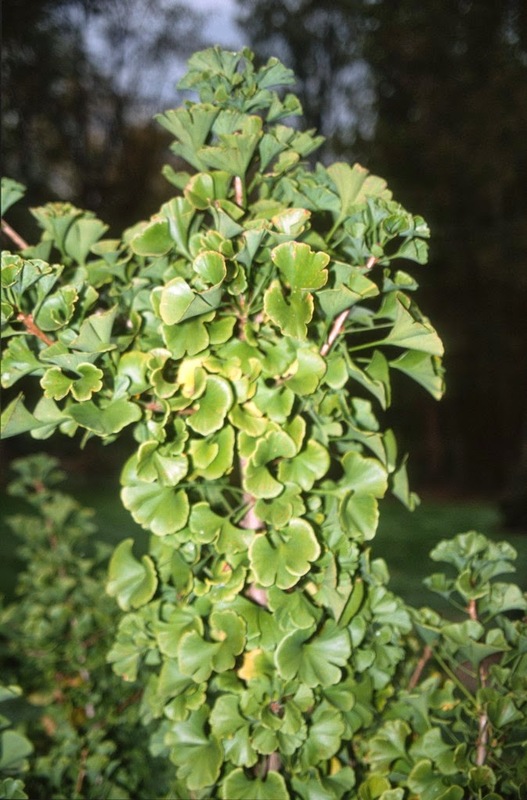 With some cultivars there is no such thing as a "clone," since every branch used in propagating can potentially result in a different-looking tree. 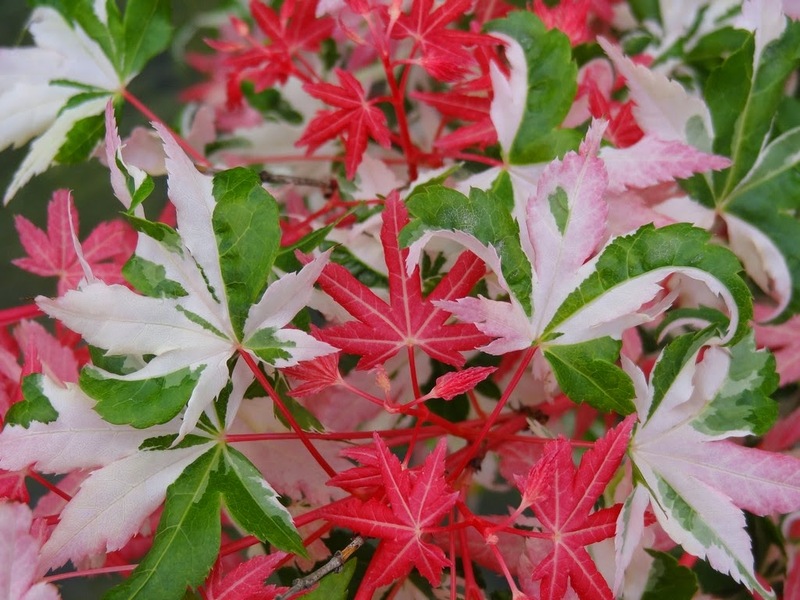 A maple collector once asked me if I "had" Acer palmatum 'Koto buki'. My answer was "yes, and no." My start was five scions, of which three lived. 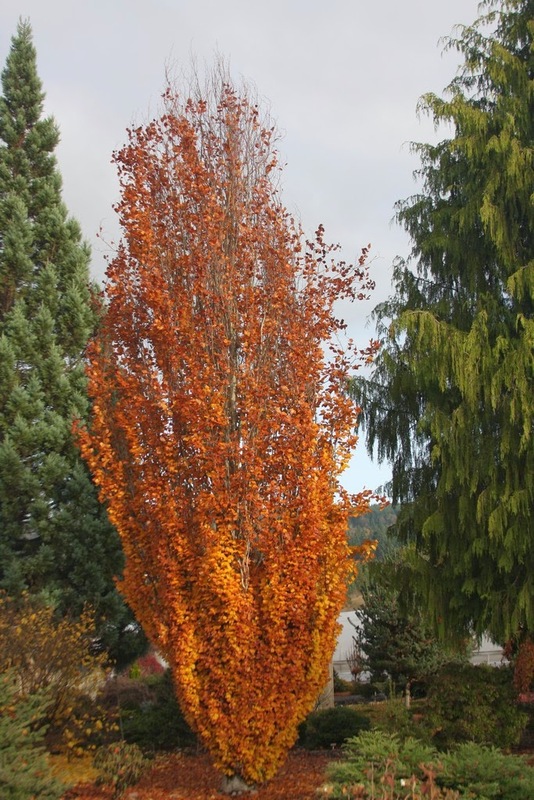 Seven years later, one is very tall and vigorous (and hardly variegated), one is one-fourth the size of the largest ( and the most colorful), and the third is in-between the extremes. 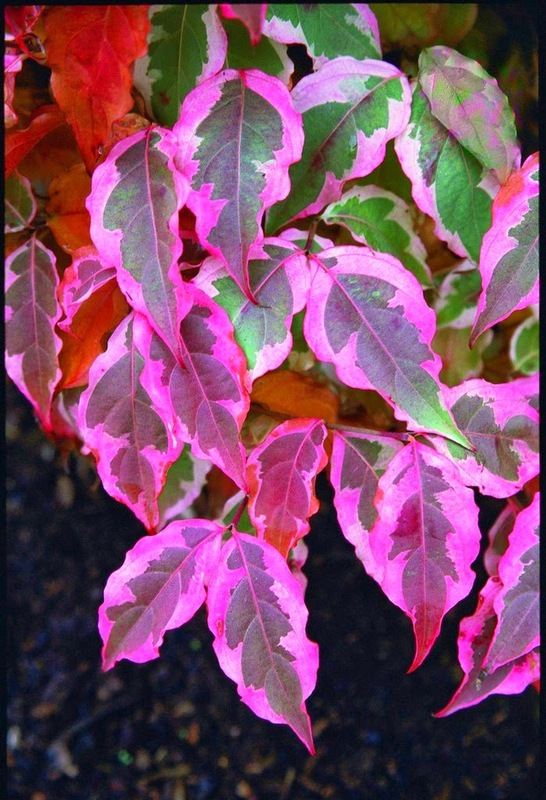 I only propagate from the smaller, most colorful plant, but not to great success. 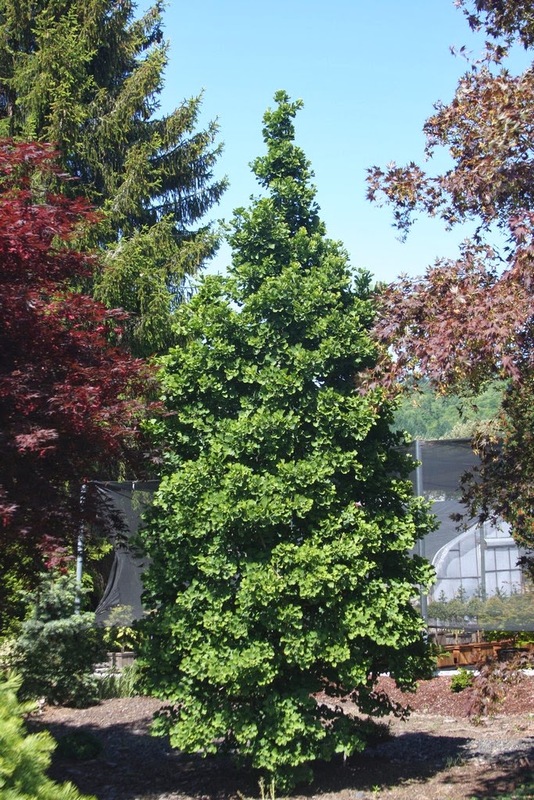 So, is the largest tree 'Koto buki'? Well, yes and no; the labels says yes, but I say no. 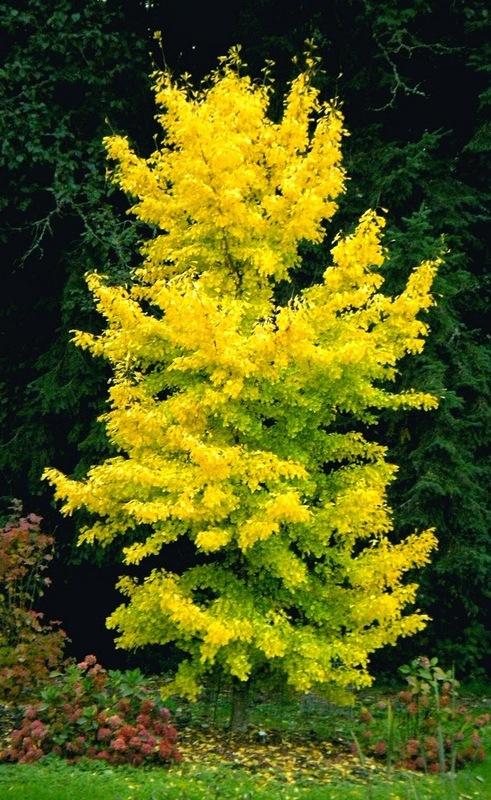 In addition to the "Golden Weeping Beech" and the four variegated selections, we also produce a cautious number of the "pillar" cultivars. 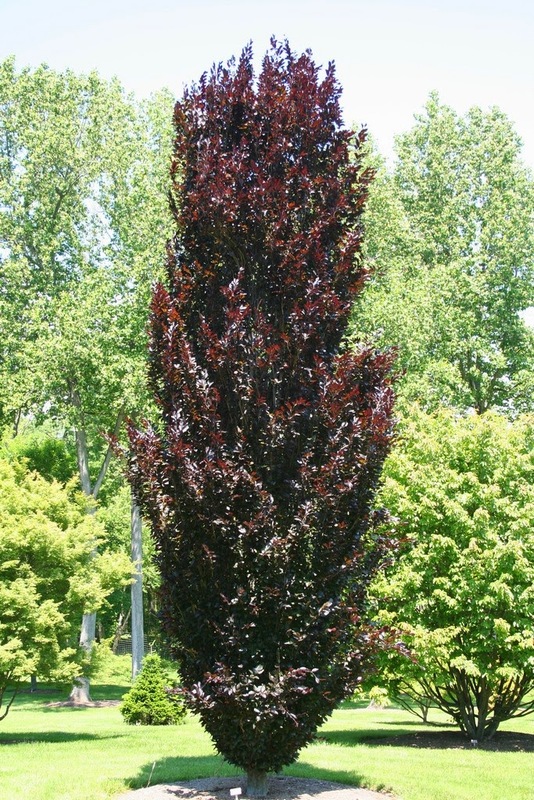 'Red Obelisk' and 'Dawyck Purple' are two narrow forms with deep red-purple foliage, while 'Dawyck Gold' is a narrow golden tree that performs well (in Oregon anyway) in full sun. I never want to have too many of these fairly common selections, but every year I sell out. But five or six years from now they might be going for cheap at the box stores. The trend is that more and more of the once proud – and frequently arrogant – large companies are dumping their excess at the Lowes, Home Depots etc. They screw the general welfare of the nursery industry as they flounder to stay afloat. They drag us all down into the abyss of unprofitability... unless we come up with something new and different. 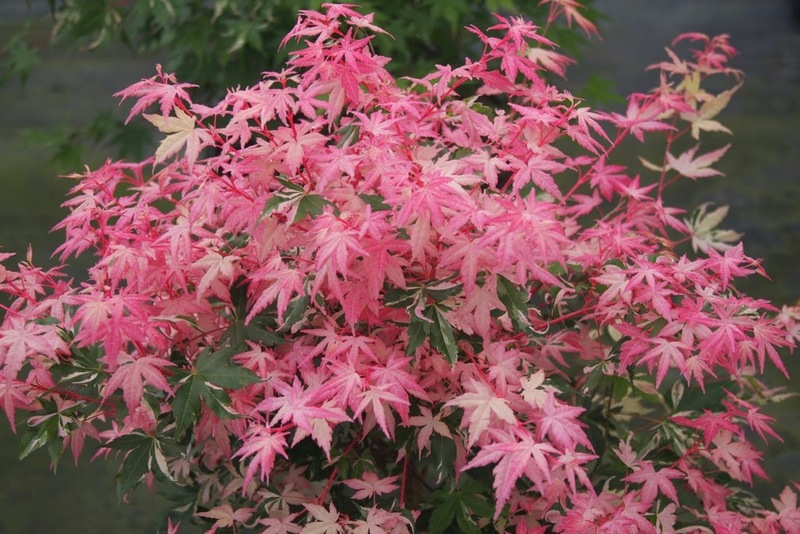 Shall I mention particular nursery names? I should, but I won't. 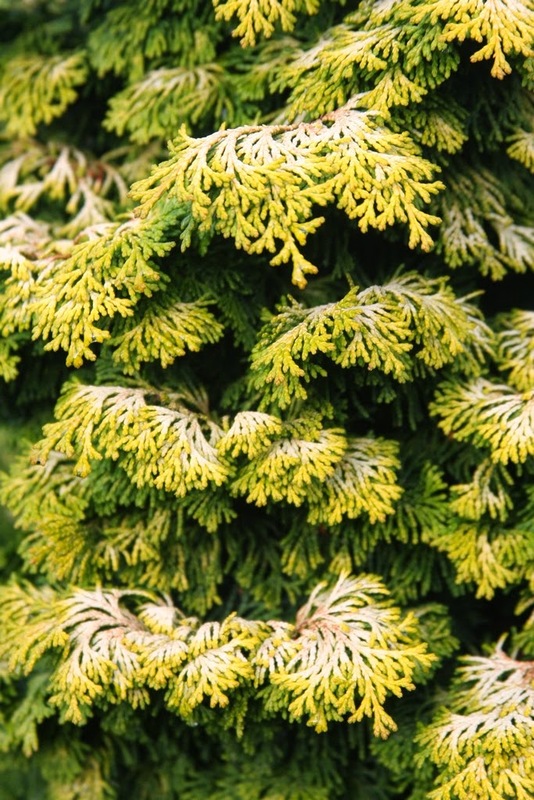 While I primarily think of GH12 for its contents of deciduous trees and shrubs, there are some conifer grafts basking in the additional heat. 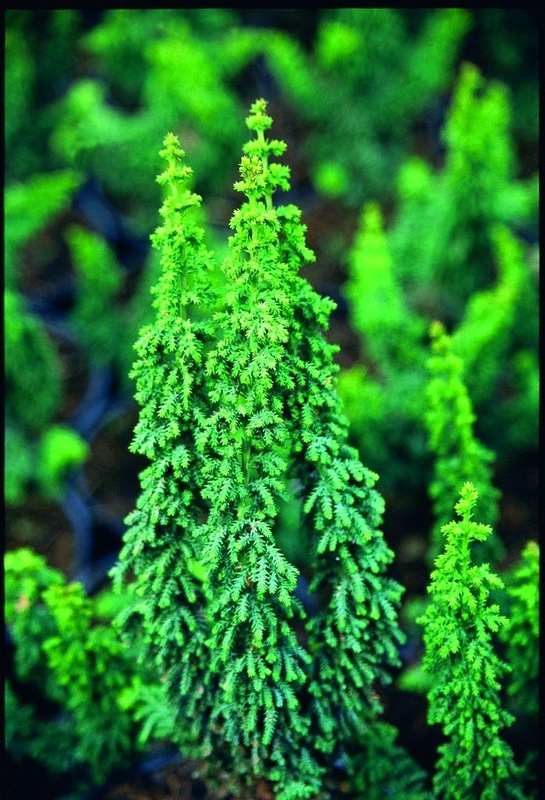 Chamaecyparis, Thuja, Calocedrus and Juniperus all perform better with extra heat in my experience. 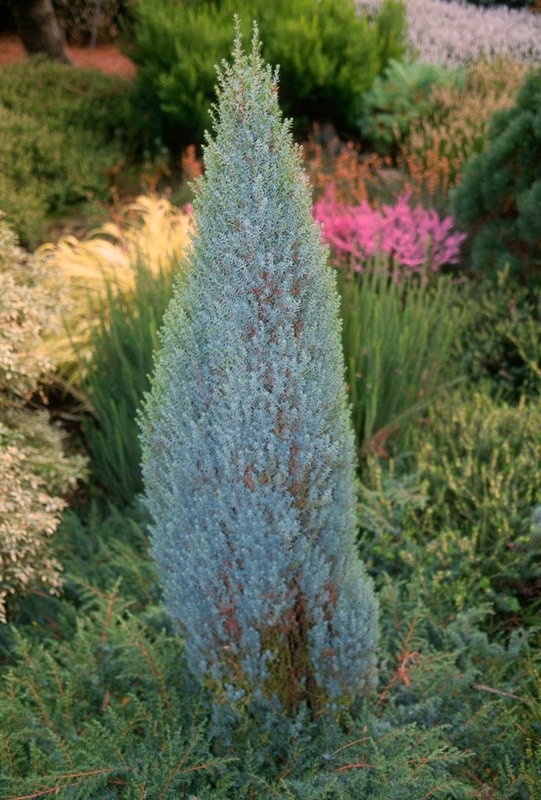 "Needle" conifer grafts such as Picea, Pinus, Abies and Cedrus don't need extra heat, and in fact I think they resent it. Their thermostat is set at 34 degrees F, and there's a huge difference in cost between 34 degrees and 55 degrees. 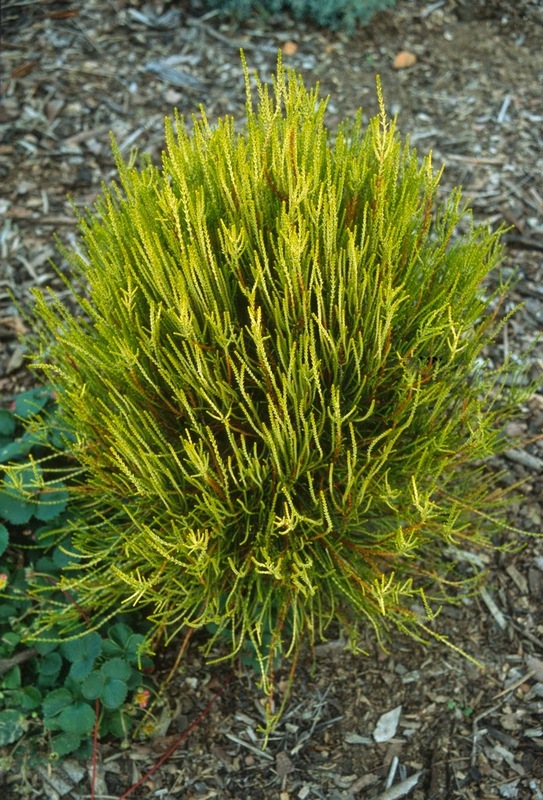 Note the general difference between a needle conifer which shoots out growth (in the cool house) and the GH12 stuff that grows by elongation. Understand I'm not at all that smart about propagating, and I certainly don't recommend that you copy me. All this talk about grafting is just me sharing my experience. Just imagine how well off I would be if I really did know what I was doing! "Congratulations, Talon! You have been fruitful and you have multiplied."